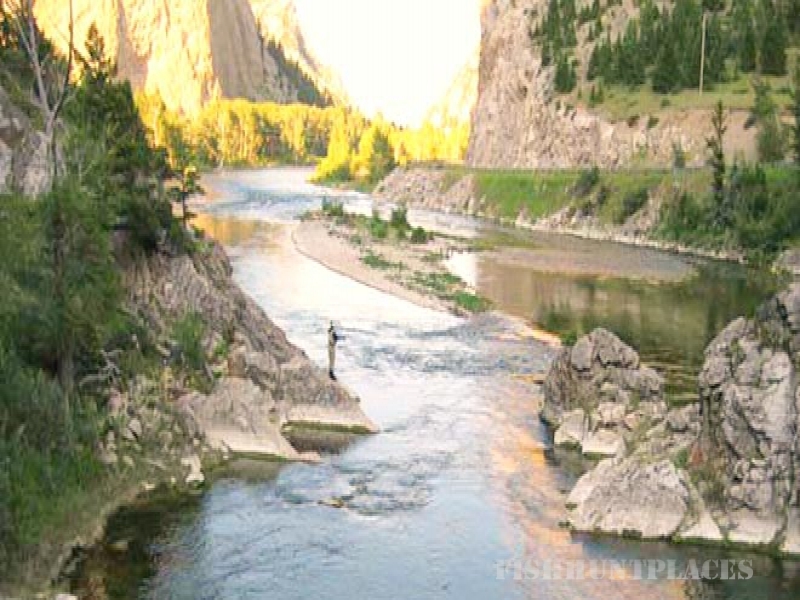 Sun River is born in the high country of the Bob Marshall Wilderness, and grows rapidly to a sizable fishing stream that flows some 30 miles through the most magnificent mountain scenery in America. While luring the elusive hard-fighting native rainbow and cutthroat trout from clear cold waters, it is not unusual to view deer, elk and many other forms of wildlife. The Sun River is graced with long, low banks. This makes the "Sun" a fly-caster's dream. The fishing in the back country is at its best from mid-June through October, with water levels dropping very little from July through October. The fishing in high mountain lakes begins a little later, usually about mid-July or whenever the snow melt allows passage into high altitude lakes such as Bear Lake. Bear Lake is a jewel-like body of water set in a crater shaped bowl not far from the Continental Divide. Plans are best made to be there in early August. The North Fork of the Sun River winds its way out of the wilderness where it is joined by the South Fork to make Gibson Reservoir, which is a man-made flood control lake. Fishing in the lake by boat or from shore is often fantastic. Bring your family and your fishing poles. 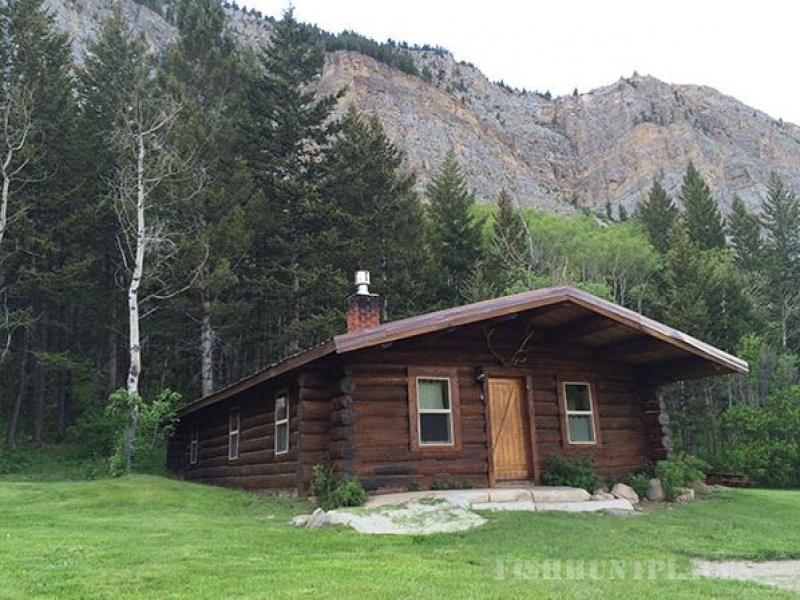 Sun Canyon Lodge and Outfitting in north-central Montana is nestled in the Rocky Mountain Front with the Bob Marshall Wilderness Complex at our back door. You are able to access our Lodge by road or fly into Great Falls and we will come and pick you up. We have three back-country camps that are accessed by horseback. Our main elk camps are located six to eight hours into the Wilderness. Once there, you will be staying in very comfortable tent camps. The sleeping tents are 14 foot by 16 foot, equipped with cots and wood stoves. Family style meals will be prepared in a well furnished mess tent that is separate from all sleeping tents. Our mule deer camp is located seven miles into the Lewis and Clark National Forest. 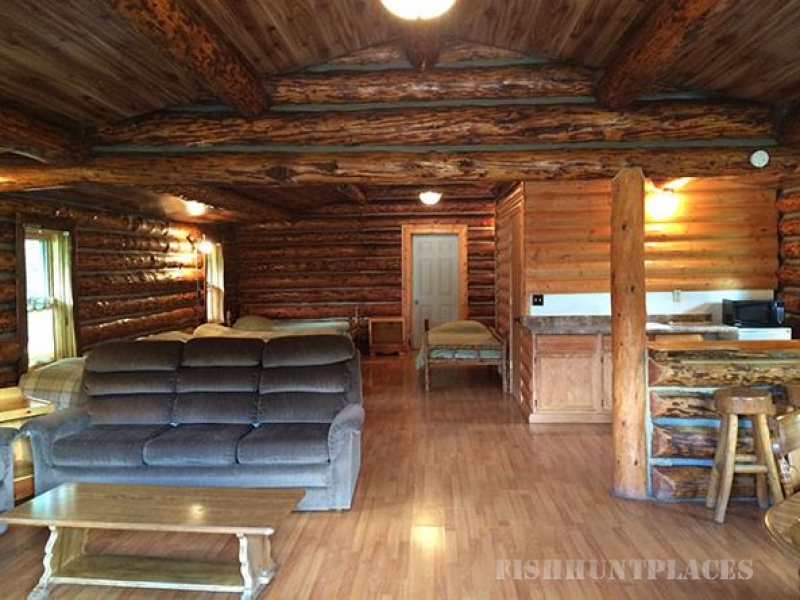 This camp is also set up similar to the Wilderness elk hunting camps. All three camps are set up early enabling them to be established and ready to go when you get here. Our hunting season begins with archery in the first week of September and runs through the third week of October. Depending on your hunting preference, we will use spot and stock, calling, and tree stands. Then rifle season starts the end of October and runs through the end of November. It is a five week season. 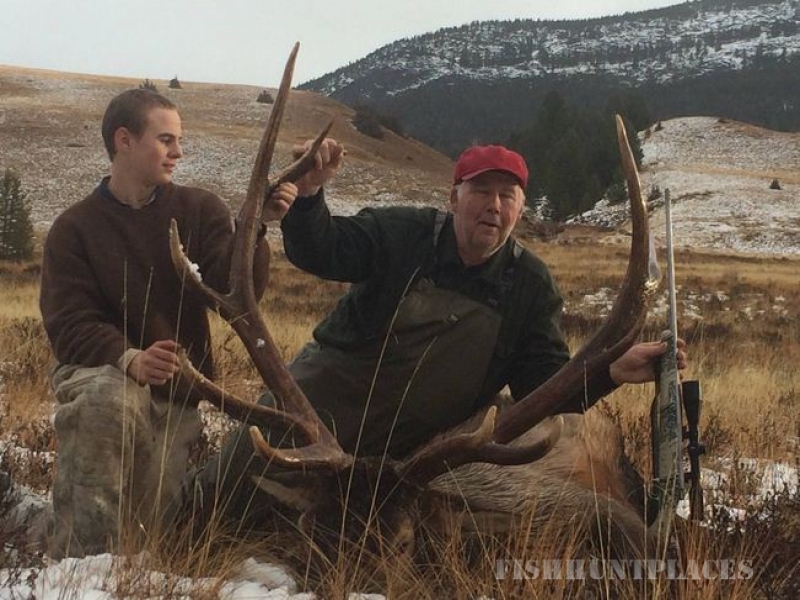 Then, Deer and elk season run concurrently, so you are able to harvest both species in the same week. 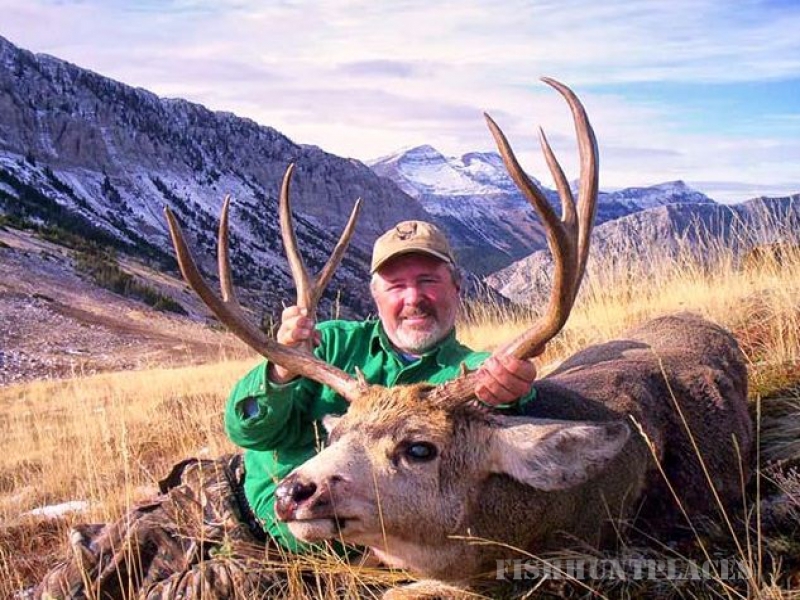 All of our hunts are deer and elk hunts with your choice of a whitetail or mule deer. These hunts are first-class; including the food, the cook, two hunters per guide, a camp-tender and appropriate stock. Hunters must only bring their personal gear and weapon of choice.